Now is a great time to buy a mountain bike. The amount of bike that you can get for $3000 has never been higher. While most of us would balk at spending $7,000 to $8,000 (or more) on a new mountain bike, those high-end bikes serve a purpose for the general mountain bike buying audience. New features and technology are always developed on the highest models in any manufacturers line-up, but after a year or two that same technology trickles down to the less expensive/more affordable models. 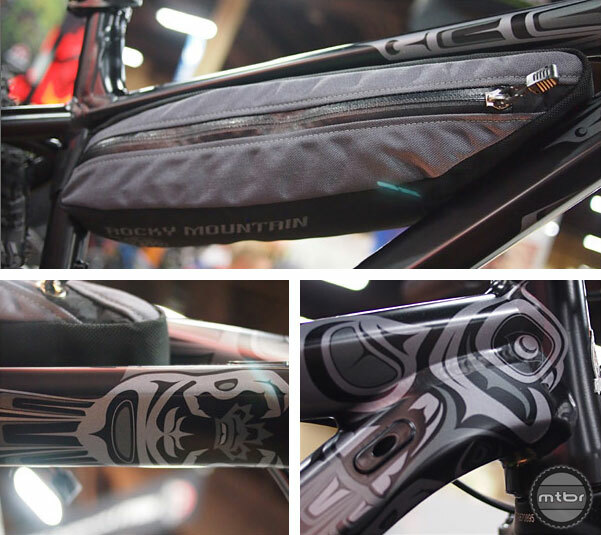 At Interbike, we get overloaded seeing all the latest and greatest in the bike industry and sometimes it’s easy to gloss over the fact that most bike shops will sell way more $2000 to $3000 bikes than $7,000+ models. So, we went around to several different manufacturers and asked them to show us their best value mountain bike. We told them it could be from any category, 29er hardtail, 27.5 enduro racer, womens-specific, fatbike…as long as they feel that it represents a great value to their main audience – the bike buyer and was in the $3000 price range. At this price point, there are a couple of common themes: aluminum frames instead of carbon (for the full suspension models) and for some brands, a simplified suspension design versus their marquee platform. Dropper posts should also be considered a bonus and can be found on a couple of the bikes below. As far as drivetrains go, the popular 1×11 systems are non-existent as 2×10 is the standard spec for the price point. So, without further adieu and in no particular order (other than least expensive to most expensive) here is our list of 12 Awesome value mountain bikes. The guys at Fuji Bikes start things off with a their SLM 29 2.1 carbon hardtail. This is the only carbon bike on our list and it is the only 29er, as well. The frame is Fuji’s C10 high modulus carbon and has slick internal cable routing, oversized down tube, tapered headtube and press-fit bottom bracket. The front fork is the Manitou Marvel Expert with remote lockout, tapered alloy steerer, 15mm thru axle and 100mm of travel. The Shimano 2×10 drivetrain features a mix of Deore, SLX and XT and stopping duties are handled by Shimano Deore disc brakes. Like most of Fuji’s bikes, the cockpit is comprised of Oval Concepts bar, stem, grips, saddle and seatpost. The 29er wheels are Oval Concepts 400 CL discs and they roll on Schwalbe Rocket Ron 29er tires. 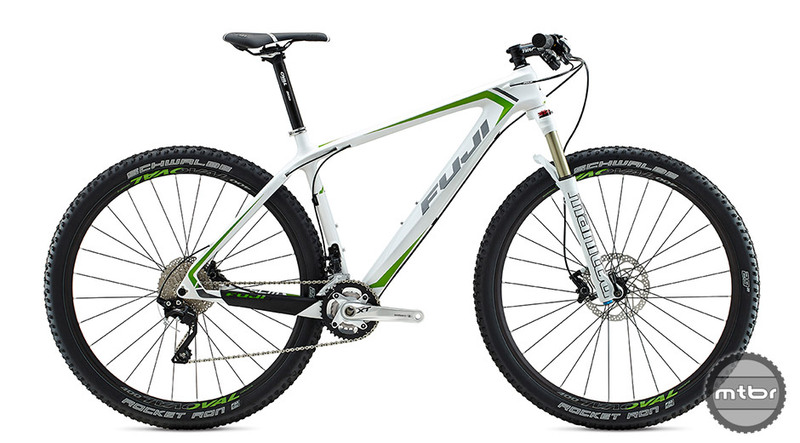 Here at Mtbr, we are very familiar with Fuji’s hardtail 29ers including the SLM and the aluminum Tahoe and they are very well priced bikes that are race ready and highly capable. However, if 29ers aren’t your thing and you’re just dying to try out the “new” 27.5″ wheel size, Fuji also makes the similarly spec’ed SLM 27.5 2.1 for the exact same price. 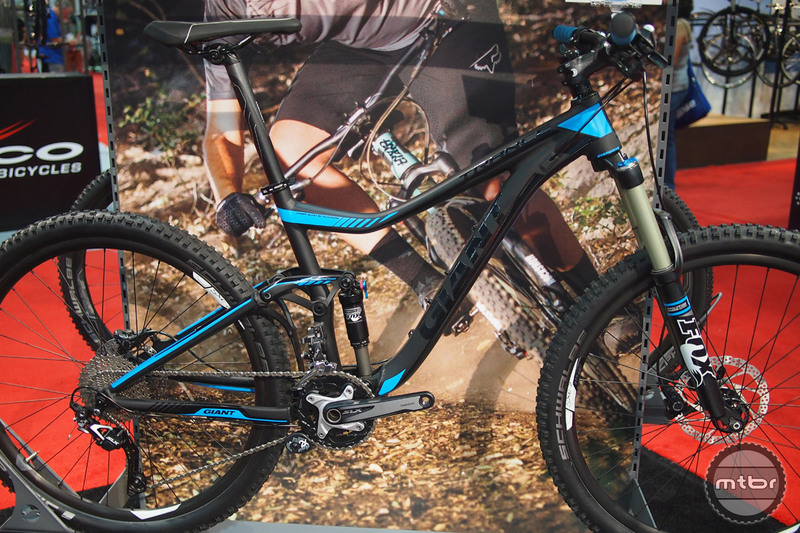 For 2015, Giant Bicycles is all about giving mountain bikers plenty of price sensitive options. I previously covered Giant’s all new value line called the Stance that offers a single pivot suspension design and a solid parts spec for under $2,000. While this is an outstanding value, I asked if they have something with their premiere Maestro suspension design, but under $3,000. The Giant Trance 27.5 2 is their answer. 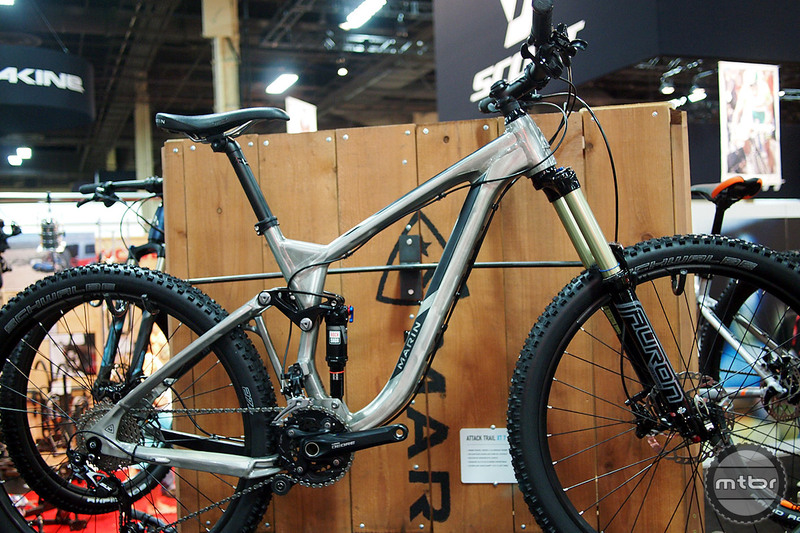 This version of the Trance uses Giant’s ALUXX SL aluminum frameset with 140mm of their proven Maestro Suspension. It comes with a Fox Float CTD Evolution fork and Fox CTD Evolution rear shock. It features a Shimano Deore / SLX 2×10 drivetrain with Shimano M615 hydraulic disc brakes, Giant hubs and rims and Schwalbe 27.5 Nobby Nic tires. This is a good choice for the buyer looking to move up to something a bit more sophisticated and capable than the simple single pivot bikes (like the Stance). The Jamis Bikes Dakar AMT is their all mountain rig that is based off of the XCT trail bike but with more travel for “bigger hits and higher speeds.” The frame is made from triple-butted 7005 aluminum and has 150mm of rear travel and rolls on 27.5″ wheels. The Dakar AMT Comp features an X-Fusion Sweep RL2 fork (150mm) and an X-Fusion 02 RLX High Volume AV rear shock. The Shimano 2×10 drivetrain features Deore shifters and front derailleur and a Deore Shadow rear derailleur. FSA provides the cranks and bottom bracket. Shimano Deore M615 disc brakes slow you down. The AMT Comp rolls on WTB rims with Formula hubs running on Vittoria Goma 27.5 tires. Bonus points for the nice KS eTen dropper post with 100mm travel and a handlebar remote. Felt has a new all mountain/enduro line of bikes called the Compulsion featuring 160mm of Equilink suspension and a frame made from double-butted 6061 hydroformed aluminum. The Compulsion 50 features a Suntour Aion RL-R fork with 160mm travel and a remote lockout with a rebound adjuster, 34mm stanchions and air spring. Rear cush is provided by a RockShox Monarch RT with custom tune. The bike also features Shimano Deore/XT 2×10 drivetrain, Shimano M506 brakes, WTB Speed Disc i23 rims and 27.5 Schwalbe Hans Dampf (front) and Rock Razor (rear) tires. Bonus points for the KS Eten dropper post (without remote). Felt positions the Compulsion as their do-it-all, all mountain bike. Felt Marketing Manager Scott Sharples describes it as a bike that can, “handle Big Bear or the local bike park but still climb up. At Downieville, I rode up 2 and a half hours on the Compulsion and it handled great.” The Compulsion 50 is also rare in the fact that the price actually dropped from the 2014 model’s MSRP of $2899 to the 2015 model’s MSRP of $2699. Marin Bikes 2015 Attack Trail XT 7 is an all mountain machine that features 150mm of their QUAD 3 suspension with 27.5 wheels and an alloy frame. Suspension duties are handled by a SR Suntour Auron LC-RC Air fork with 160mm of travel and the rear is handled by a Rock Shox Monarch RL with lockout and rebound adjustment. The 2×10 drivetrain is full Shimano (SLX/Deore) and brakes are also Shimano M615 discs. Marin hubs and Alex tubeless rims run on Schwalbe Hans Dampf 27.5 tires. The Marin Attack Trail line is built to take the abuse on the downhills but can still get you to the top. The frame also features some nice internal routing options. When we approached the guys at Rocky Mountain and asked them what they considered their best value bike under $3k, they gave us a slightly different answer from everybody else. The Blizzard is their new fatbike that is designed around the RockShox Bluto suspension fork with 100mm of travel. As such, it has suspension optimized geometry to take full advantage of the cush for those all day adventures or those short jaunts in snow, ice, sand or dirt. In the rear it has 197x12mm spacing to fit up to 4.8″ tires. It has a 1×10 drivetrain that includes a custom designed Race Face 24T narrow-wide chainring with driveside offset for “optimal” shifting. The 6061 series aluminum frame is double and triple butted (the downtube and toptube are triple butted, the seat tube, chainstays and seat stays are double butted.) The frame also has internal cable routing including for an internally routed dropper seatpost. The Blizzard on display also features a sweet looking integrated Porcelain Rocket half-frame bag, which is sold separately. The intricate graphics were a nice touch, as well. No, no, no. Canyon. Radon. Also, why include a Genius 730 at well above 3k when theres a 740 that actually fits the bill? Also also, even though I too spend this much money on a bike, most friends “on a budget” – as you put it – laughs at the notion that 3k would get you an entry level bike. In my experience people on a budget can spend half of this at best. Just sayin. I’m going to start an MTB bike manufacturing company called 26, and if you guessed that we are going to make all the current frame designs on 26″ wheels, you would be right. And, I will sell as frame only, not completes, so buying the frame while it’s still available to the market wont break your savings, then you can build the bike as you please. My frames will be half the price of made in Tiawan, because I will not have to pay for my races teams(which I don’t have), I will not have to pay for advertising or shop overhead. So the savings will go to the buyer! Sounds great right? Wish I had the money to start such a company! Genius business model. Maybe you should talk to all the companies that tried keeping 26 in their lineup but NO ONE was buying them. But I’m sure your frame deals will reverse the market trend. Last 3 bikes are more than $3000 ? What with your article title? These bikes are not for those on a budget, that would be more like $1500 max. Oh well just the industry trend of bloated bike prices, but that Norco Range looks like a decent value for all those features. Those prices are msrp. Those last three can be bought less than 3000.00 easily. Who pays msrp not me thats for sure. Good article solid round up of bikes. How about 12 awesome mountain bikes for women under $3000? That’s a great suggestion, Jenn. I’ve included the Juliana here, but we could potentially put together one for more womens bikes. It might be more like 6 or 8, but it’s a great idea! Seriously WTF? I could buy a motorcycle for these prices. These are bikes are tilted towards long climbs and longer faster downhills with some technical features. Often classified as Western terrain. Many areas have short steep climbs and short downhills with twisty rocky technical features and trees. Both the Trek Superfly 9.6 and 9.7 carbon hardtails are under $3k and are tops over more expensive choices for a broad range of this type of terrain. The compliance engineered into the frame gives a rider trail feel without being beat up. You have a simpler, lighter bike that costs less to buy and maintain. Direct competitors are the Orbea Alma M50 and M30. Slacker head tube angle and 200% more rear compliance than the last version. These are within a few dollars of the Trek models. Throw wide rim wheels on these and the scope of terrain you can ride is even broader. Are they really awesome value ? Doubtful any mid to upper level MTBs or roadies are awesome value, or even ok value when compared to motor cross bikes. Fun, yes. Enjoyable, yes. Material & engineering value, no. $3k is a “budget” bike? You’ve spent too much time in bike-testing land. Try under $1k, or at most $2k. There is stuff there, much of it is even good. Totally agree about trickle-down tech, but you’re gonna have to let it trickle a bit further down than XT. Agree w/ eb1888 as well. Several of these bikes would be painful on a lot of East Coast terrain – more travel and more weight than any reasonable person would need. I agree completely about the budget part of your argument but the need for travel is most definitely not based on what coast you live on, I live on the east coast and can say that we have more rock than practically anywhere our trails are tight steep and very technical. A prime example would be plattekill bike park, look it up. These are some pretty good values. 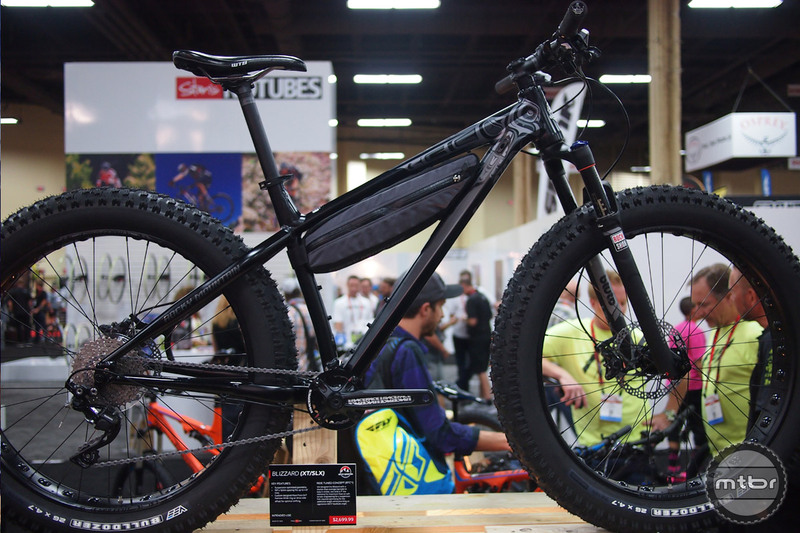 The Rocky Mountain Blizzard fat bike looks most tempting to me. 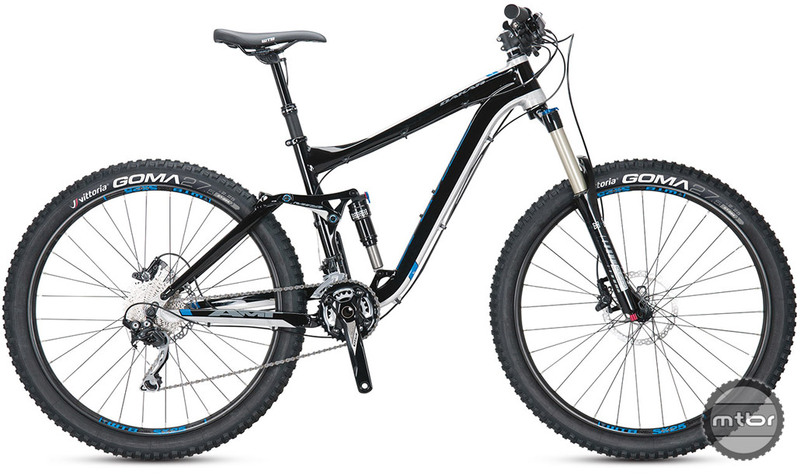 Uh, the best in category is probably the Kona process 134 at $2800. With all the rave reviews this bike has had, I’m very surprised it’s not included. What’s up with that? 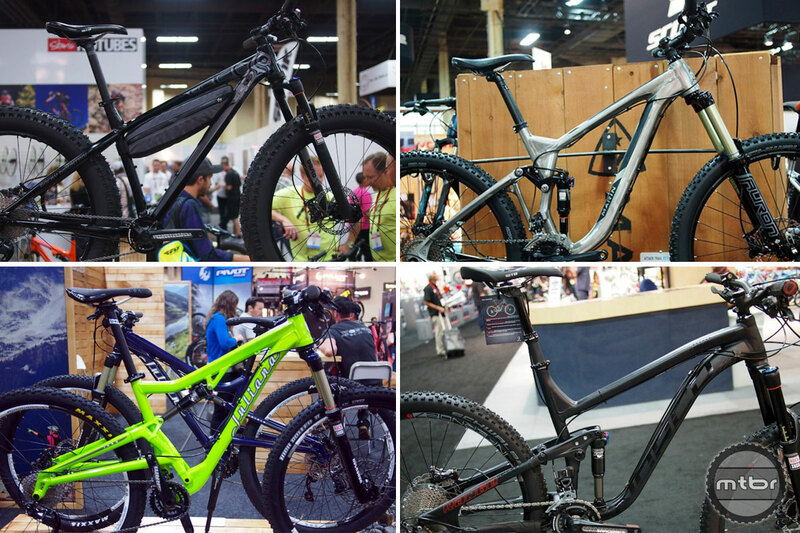 Hey Mark, this list is comprised of brands we talked to at Interbike. Kona was not at the show. “Expensive” is a relative term. People spend money on their hobbies. Those that don’t share the same passion often see the amount spent as ” a lot”. So for the passionate bikers out there, $3k can be seen as an inexpensive bike. I only wish my bike cost under $3k. BTW – Idp don’t golf or ski cause I think it’s ridiculously expensive at most venues. At 72, I’m still riding my old KHS Pro that I purchased in 95 for $500 new. Yes I’ve had to change gear sets, brakes, shocks and plenty of tires. Friends ask when I’m going to upgrade, but why. I’m not riding as hard as I did 10 years ago. The exact rationale I give to my wife…plus, “it’s good for my health and I will live longer”. I’m probably into a new bike every 4 years or so, and never tell her the price. But it seems to me that what is considered a good “entry level” mtb has gone to the ridiculous level, I can’t figure out what has happened in this market that has raised the bar so High! My buddy got me into mtb’ing, I loved it. Went to buy a bike for myself. When I saw the prices, bought a Kawasaki instead. Thanks to the bike hype for turning me towards the right direction in bikes. I appreciate the review you have put up here. Its informative enough to let the reader go and explore more. I thought your introduction was clear, you narrowed down the bikes to be reviewed for sensible reasons and a specific buyer in mind, otherwise if you had to write reviews for all the bikes there, you would have been still writing! Wow, some guys get off with having a rant about something, there are plenty of reviews out there for $1K – $2K bikes, those guys spewing about your idea on “budget” should read the title of the post and the introduction. In over 30 years of mountain biking I’ve only bought “whole” new bikes 3-4 times. I buy used, or I buy a new frame and swap parts and then upgrade parts as needed, as wanted, or as I can afford to, etc. The cost of high end bicycles has always been hard to justify, this is nothing new. Hi Chris, I agree with you that these high end bikes are hard to justify, I always wanted to do something your way, like buying cheap and upgrading later. 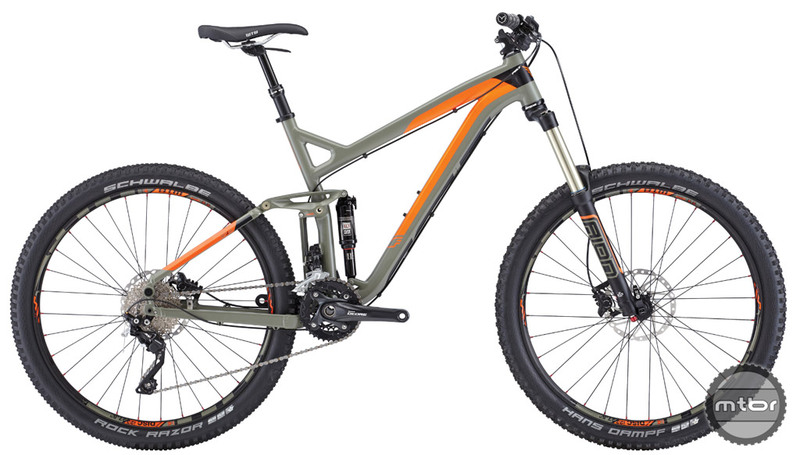 could you suggest me something to start with, I am OK with both full suspension or hard trail, preferable 27.5″ or 29″.